Quickly fill & sign any PDF document! No need to print & scan! Your edited PDFs will look professional! ...I can now sign documents with little effort, problem solved. Thank you , at last a quick simple way to fill out and sign PDF forms. I hate working with Acrobat Pro , too many eorrs, wrong fonts ... great app thanks. 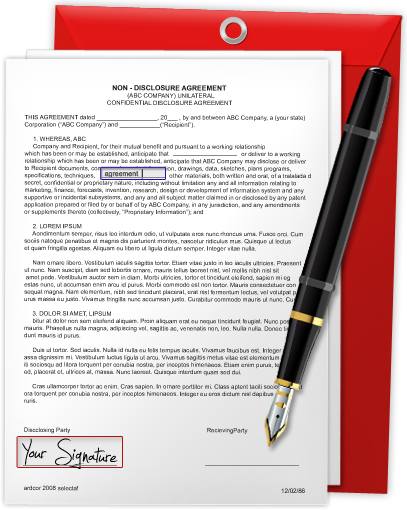 Does exactly what it say it does, the quickest way to seal a deal and get those PDF agreements executed. 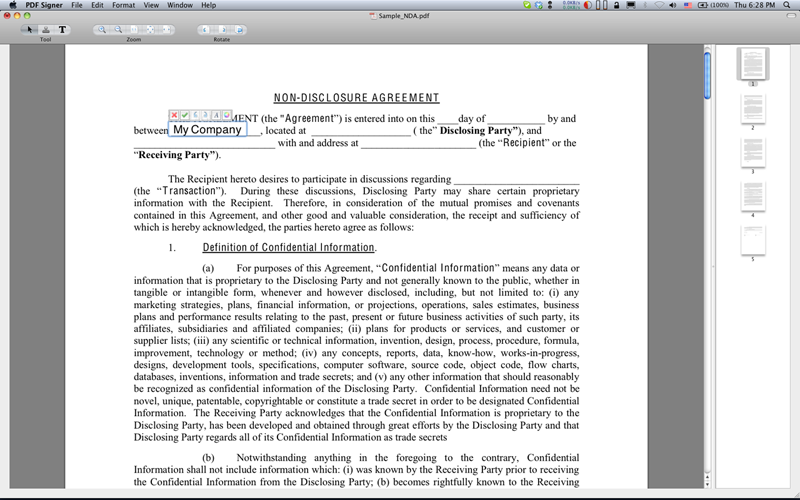 ...I can now easily add my signature to a bunch of pdf docs without all the hassle. It's simple, clean and efficient, well worth the $10. ...All in all, it did what I needed it to do. Very nice, simple & easy to fill form / edit / manipulate text. It just works as it says. Easier / better to use than well known similar apps .. I really like the fact that I don't need to print the form, fill it out, scan it and Email it. Works like a charm. Does what it says. I just need a simple way to sign contracts without having to print them out, sign them, and scan them. This app did the trick and is already saving me mountains of time and paper. ...I just got it yesterday and it literally already paid for itself in time saving. ...So worth my time to give this talented developer $10 for an application that will save me hours going forward. Well done. This app is a dream come true for me... BIG THANKS for an amzing app, worth every penny! PDF Signer 1.8.0 is available on the Mac App Store with support for MacOS High Sierra. PDF Signer 1.7.2 is available on the Mac App Store with bug fixes and stability improvements. 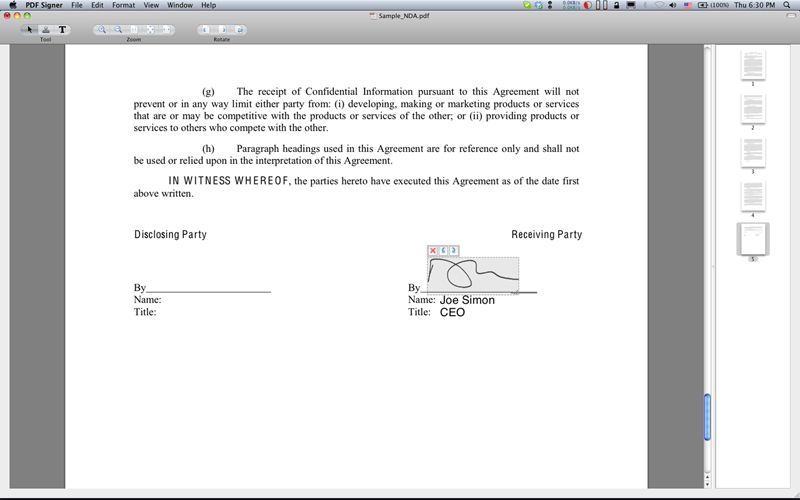 PDF Signer 1.7.1 is available on the Mac App Store. Includes stability improvements and bug fixes. PDF Signer 1.7.0 is available on the Mac App Store. Includes MacOS Sierra support and other minor bug fixes and improvements. PDF Signer 1.7.0 with MacOS Sierra support was submitted to the Mac App Store. Should be available within few days. The latest MacOS Sierra update 10.12.2 fixes some of Apple's bugs and restores much of PDF Signer's functionality. MacOS Sierra 10.12 support is coming to PDF Signer. This is taking longer than expected. Working full steam. Sorry for the inconvenience.